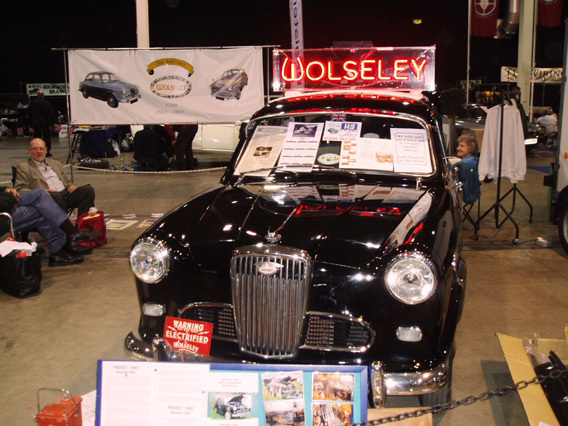 In the Spring of 1957, Wolseley re-entered a sector of the market from which they had been absent since the war. In April of that year they introduced a ‘luxury compact’ which was to become the biggest selling model ever to bear the hallowed name. 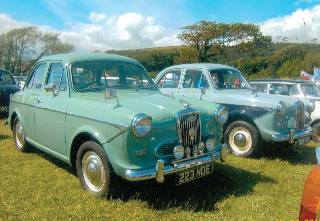 Surprisingly, however, but fortuitously for BMC, the Wolseley 1500 was not originally conceived as such. 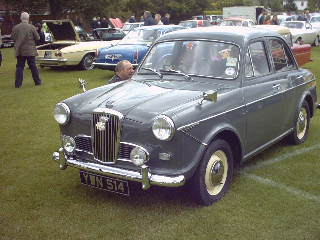 Designed around the Morris Minor chassis/floorpan and therefore benefitting from all the positive handling characteristics of that model, our subject was originally intended as a re-style of the Minor, but strong sales of the latter (the rest is history) led to a re-think, and the idea to launch what we might now term a small sports saloon, was born. 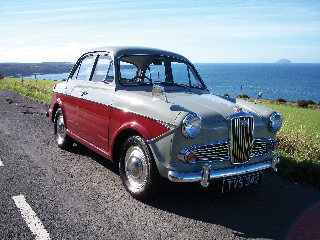 At first, the new car was to have a 1.2 litre version of the ‘B’ series engine, and, indeed 110 such cars were produced solely for the Republic of Ireland market (do any still exist?). It was quickly realised, however, that this chassis could easily handle more power and henceforth, it was equipped with the 1500cc unit in its absolutely conventional form. A single SU carburettor was provided, and with a low compression ratio (7.2:1), only 43bhp at 4,200 rpm was originally produced, although subsequent modifications raised this to 50 and 52 bhp by the end of the model’s run. Contemporary adverts trumpeted ‘Twin-top’ Performance in their wording to re-create a 1930s concept which would appeal to traditional Wolseley buyers, and, indeed, the model’s ability to cruise at 60/70 mph is much appreciated by owners today. The car had a neat and pleasing style; (leather) seating for four, attractive walnut veneer finish, good luggage space and excellent pace and performance for the era, and it sold very well. 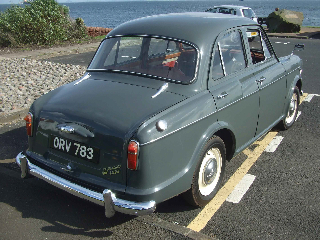 Apart, then, from an increase in tyre size, no noticeable changes were made until the introduction of the Mark II in the Spring of 1960. These changes, however, were primarily cosmetic, with the boot and bonnet hinges being hidden and with the side chrome strip being altered. 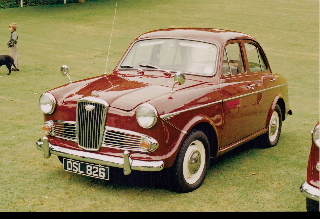 A more noticeable change came with the advent of the Mk III in 1961 when a new front grille was introduced; the suspension was lowered; there was new, more luxurious trim and revised colour schemes and new tail-lamp clusters. 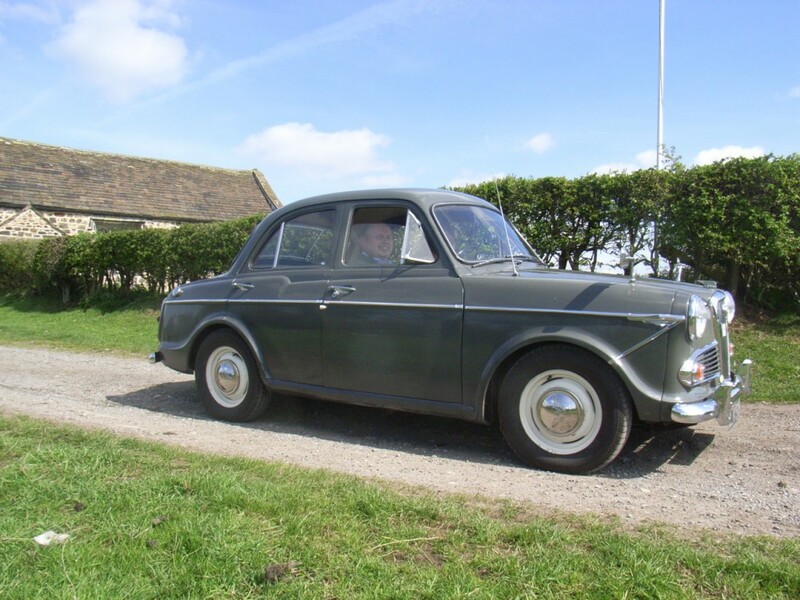 Disappointingly, however, our car never received the 1622cc version of the ‘B’ series engine, which many owners consider would have benefited the car considerably. For 1500 enquiries, ask a question on the forum.